We were thrilled to sit down with celebrity stylist, Alison Kahn Geiger recently. For over 17 years Alison has polished and perfected her talents as a personal shopper and stylist. 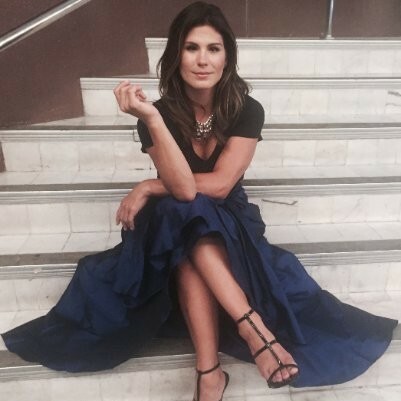 Hot on the heels of styling celebrities on the red carpet, helming fashion shows for Vogue, GQ, and Glamour, Alison has been named one of the top five personal stylist’s by CBS Los Angeles. Check out our interview below. THE TRICK TO LOOKING PUT-TOGETHER ALL THE TIME IS HAVING AN ACE UP YOUR SLEEVE! (OR A STYLIST.) ALI DOES PERSONAL STYLING AND CAN HELP YOU FIND THE PERFECT PIECES— FOR A SPECIAL OCCASION OR FOR A COMPLETE WARDROBE OVERHAUL. How did your career in styling start? Originally from Texas, my love for fashion and style began at an early age. I studied apparel design at Texas Tech University. During the Summers I interned in New York for Betsey Johnson to learn design, and Art House Management to learn the business of styling. Texas boasts its own unique style, but I quickly realized the glamour and red carpet of Los Angeles captured most my interest. After moving to Hollywood, I began styling commercials and celebrity attended red carpet events. During this time, I also worked with individuals and retail organizations to style seasonal trends. 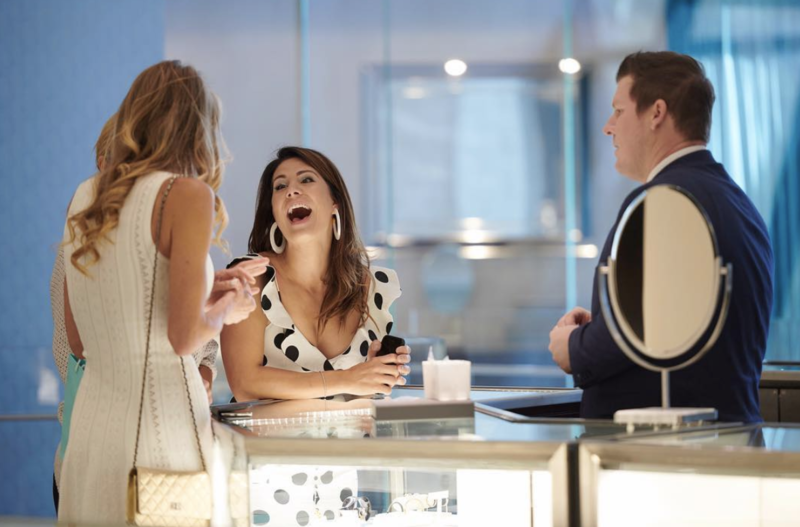 Through this experience, I recognized the need for exposing parties to the esoteric and hidden luxury Shoppe’s and boutiques typical exclusive to industry stylists. Where do you draw your fashion inspiration? Who are your style muses? I love to look at Historic Fashion books like Costume Designers would do research for a film. I read countless magazines, and I also look at runway shows from even 8 years back. Style comes full circle so I like to see what I can resurrect. I like to look at Instagram, and I love Luisa Fere, Leandra Cohen, and Caroline Vreeland. I suppose my muses are one with severely long legs since I can only dream about the clothes they wear. We offer luxury sourcing for the hard to find items, gift buying, wedding styling, personal styling in-home or in-store, closet organization, styling images with notes, packing services, men’s styling, and shopping tours. Individuals who would like to develop their personal style and struggle with how to dress for their body type, brides, and clients that are simply too busy to shop. We also work with tourists who would like to explore shopping in Los Angeles. Enter my mother. She started my love for fashion, that woman. As young as 5 years old, I would say things like, “lose the belt”, or “you’re not wearing that are you?” I imagine that frustrated her coming from a toddler with zero life experience. She took a nap one afternoon with her brand new green suede high heels sitting next to the sofa. They were begging to be paraded around the house, so I did just that. Carelessly shuffling and fumbling in shoes 10 sizes too big for me for 30 minutes, I ruined them. She was so upset with me. I’ll never forget it. What’s your approach when you first start styling someone? Are you a closet editor, builder, both? You must get to know your subject personally. What makes them tick, what they are passionate about, what their priorities are (i.e. comfort, first impression). From there every styling session will depend on the event. I have clients making television appearances, award ceremonies, sales presentations, and everyday wear. I typically start with an interactive closet audit. Although these audits can be reoccurring, the first is typically extremely productive and even involves all new hangars. I love that I get to incorporate my love for shopping and fashion with my love for service. My love language is Acts of Service, so it brings me joy to also be able to be of service to individuals who need it. A big challenge for me can be getting new clients to let go of clothes that are out of style with no chance of coming back in, or that are just unflattering. So many clients can feel strong attachments to clothes in the beginning, but eventually, learn to let go once they see themselves in more flattering styles. I work diligently to find the optimal style for every body type and personality. I pride myself on taking clients considerations and concerns to heart while stretching each one a bit out of their comfort zone to realize flattering looks they have never considered. Be more tech savvy! Understand the technologies that will develop in the future and help bring you together with those in need of your services. I underestimated how much of my job involves marketing and graphic design. How do you want people to feel when wearing the styles you put together? Two things: I want them to feel confident and comfortable. If you could only wear one designer, the rest of your life who would it be? I have so many follow up questions in order to properly decide but I’ll keep this easy, Tom Ford. What is the item of clothing you’re wearing most often right now? If you follow me on social media, you know it’s my Current Elliot jeans that I bought 3 pairs of, side snap track pants, and my Silver platforms! Who would most love to dress? Sandra Bullock. Isn’t she divine? Who are the up-and-coming designers you’re most excited about? Halpern Studio is on my radar. I really love Cult Gaia, Attico, Ganni, and I.AM. GIA. Keep an eye out for these! What are you dying to splurge on? I suppose the answer should be “love.” So, to elaborate further, I love shoes. So, the final answer is shoes. I profoundly and totally love shoes. What’s one thing you’d never put a client in? Interested in booking time with Alison? Contact Carefree Concierge to make an appointment. You’ll also find Alison in Carefree Concierge’s upcoming gift guide. Stay tuned!